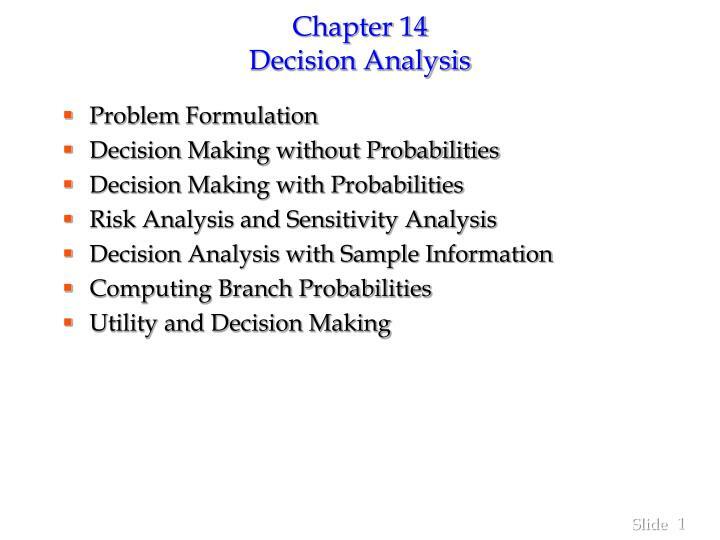 Chapter 14 Decision Analysis. 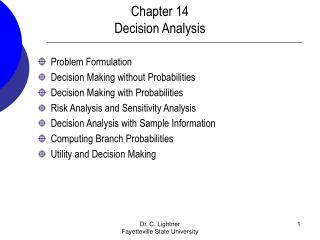 Problem Formulation Decision Making without Probabilities Decision Making with Probabilities Risk Analysis and Sensitivity Analysis Decision Analysis with Sample Information Computing Branch Probabilities Utility and Decision Making. 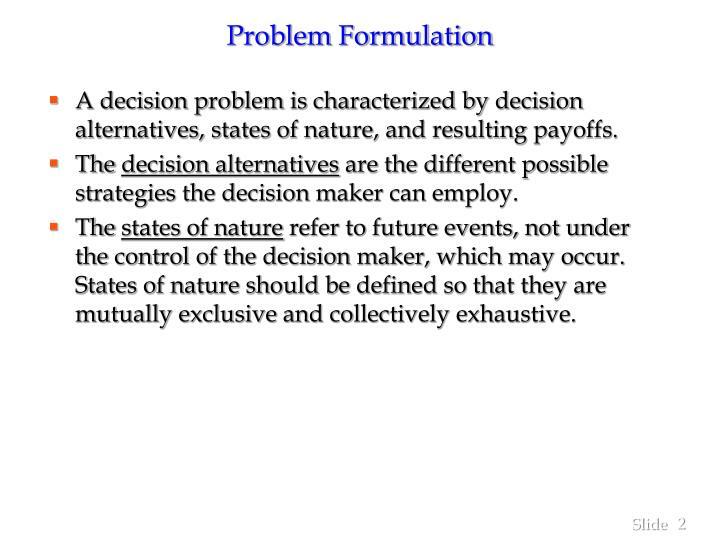 Problem Formulation. 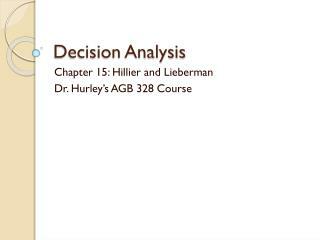 A decision problem is characterized by decision alternatives, states of nature, and resulting payoffs. 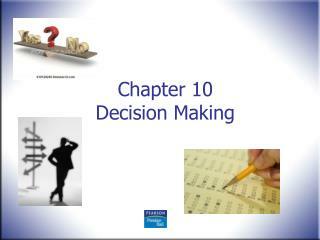 The decision alternatives are the different possible strategies the decision maker can employ. 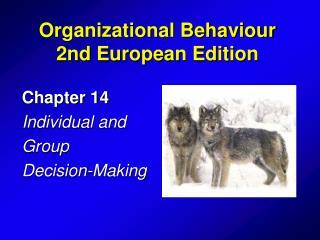 The states of nature refer to future events, not under the control of the decision maker, which may occur. States of nature should be defined so that they are mutually exclusive and collectively exhaustive. 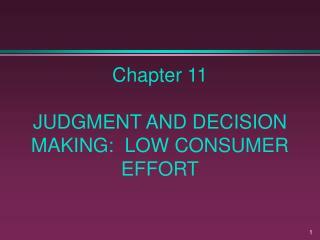 The consequence resulting from a specific combination of a decision alternative and a state of nature is a payoff. 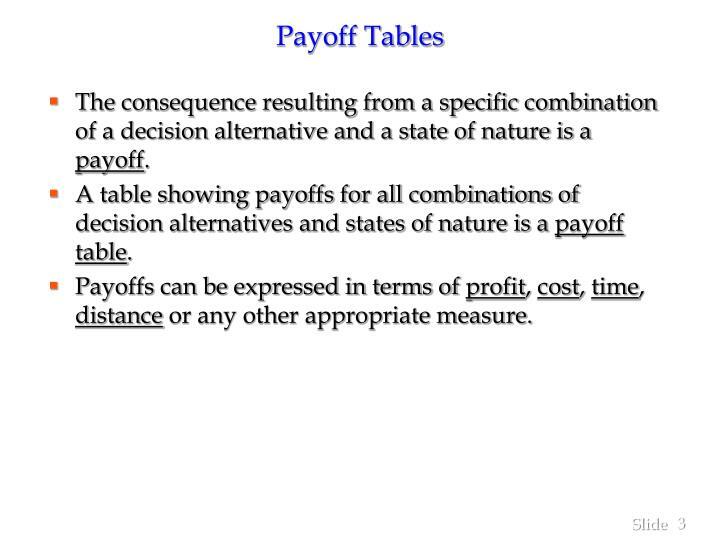 A table showing payoffs for all combinations of decision alternatives and states of nature is a payoff table. 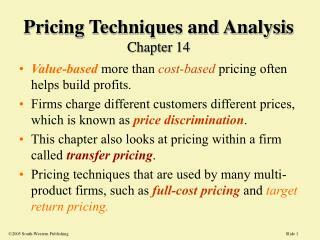 Payoffs can be expressed in terms of profit, cost, time, distance or any other appropriate measure. 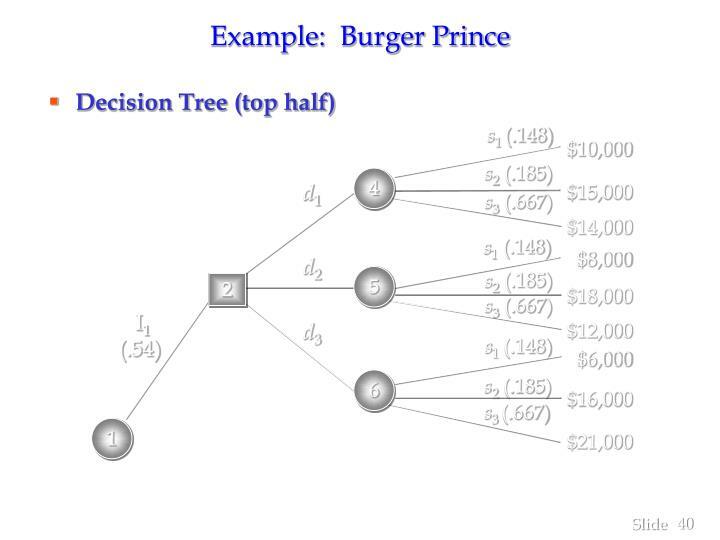 A decision tree is a chronological representation of the decision problem. 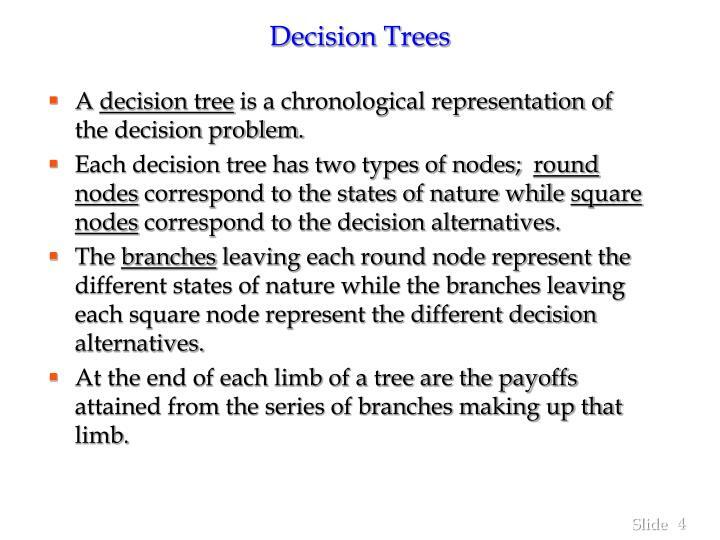 Each decision tree has two types of nodes; round nodes correspond to the states of nature while square nodes correspond to the decision alternatives. The branches leaving each round node represent the different states of nature while the branches leaving each square node represent the different decision alternatives. At the end of each limb of a tree are the payoffs attained from the series of branches making up that limb. 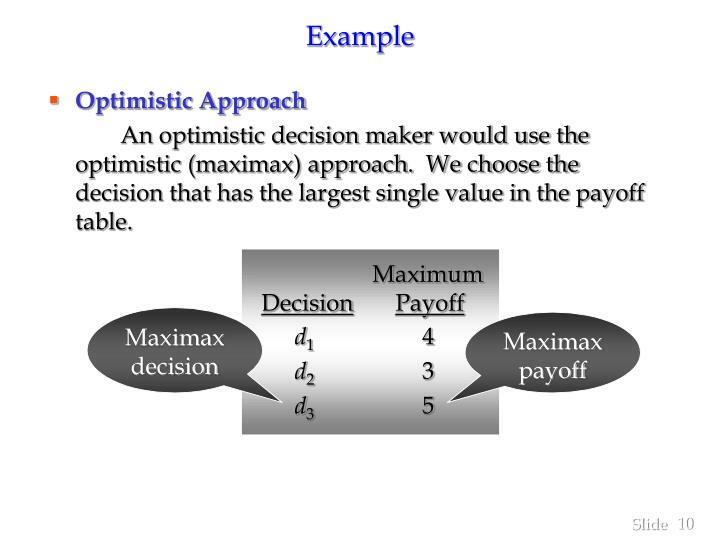 The optimistic approach would be used by an optimistic decision maker. The decision with the largest possible payoff is chosen. 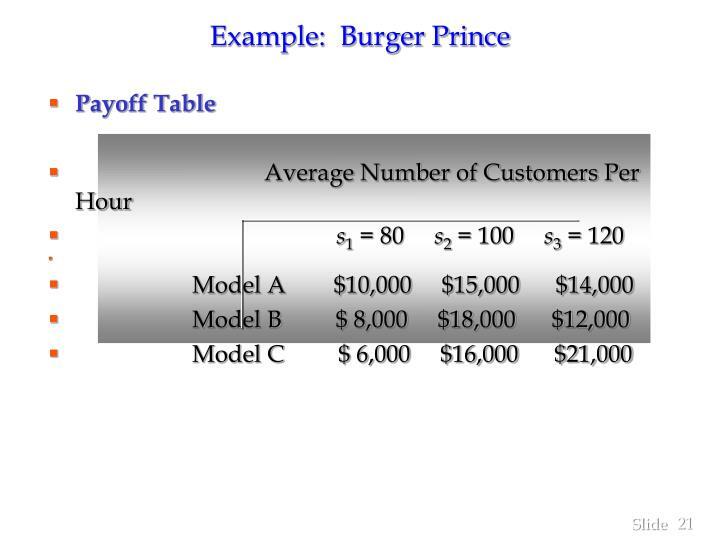 If the payoff table was in terms of costs, the decision with the lowest cost would be chosen. 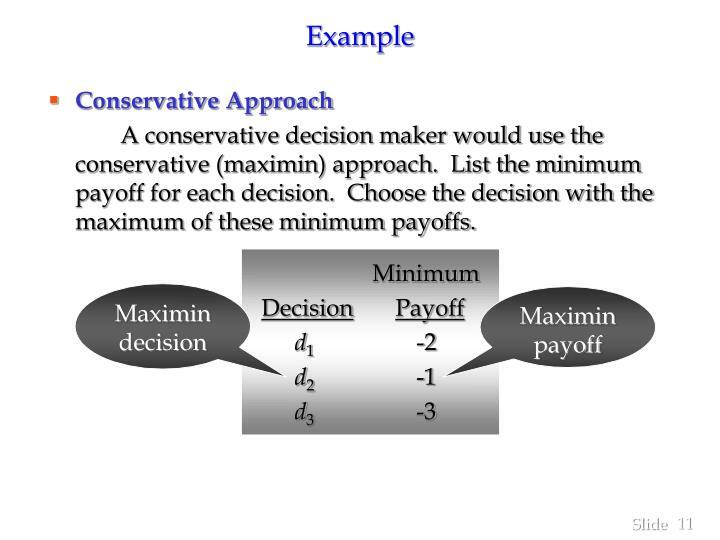 The conservative approach would be used by a conservative decision maker. 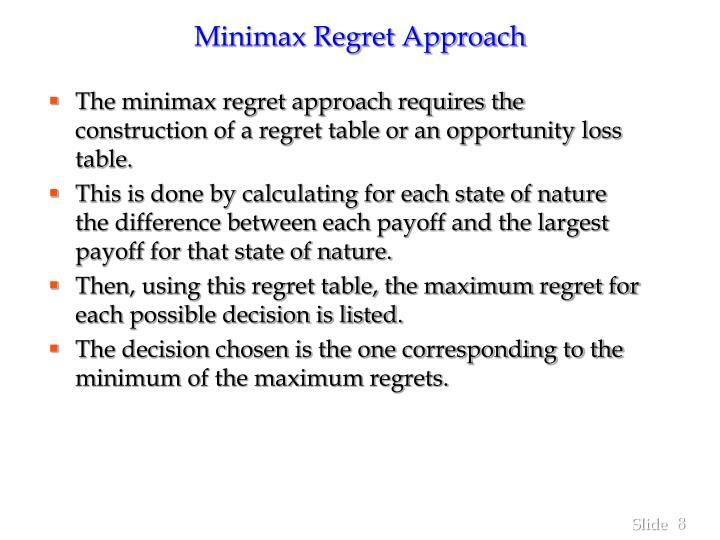 The minimax regret approach requires the construction of a regret table or an opportunity loss table. This is done by calculating for each state of nature the difference between each payoff and the largest payoff for that state of nature. 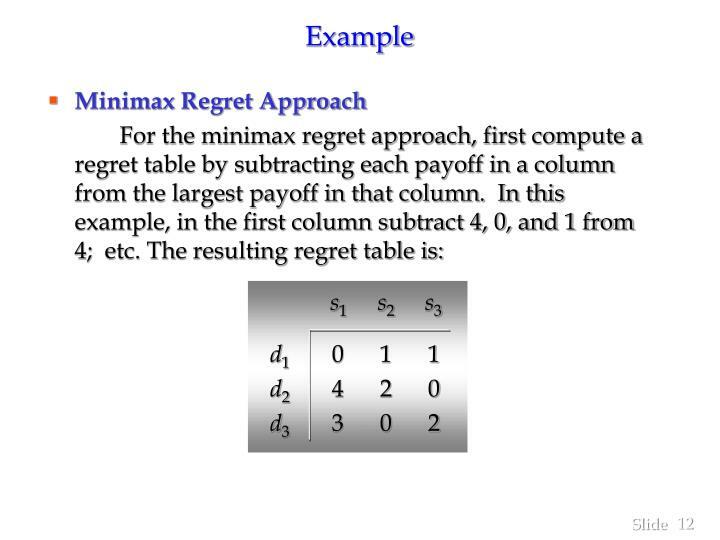 Then, using this regret table, the maximum regret for each possible decision is listed. 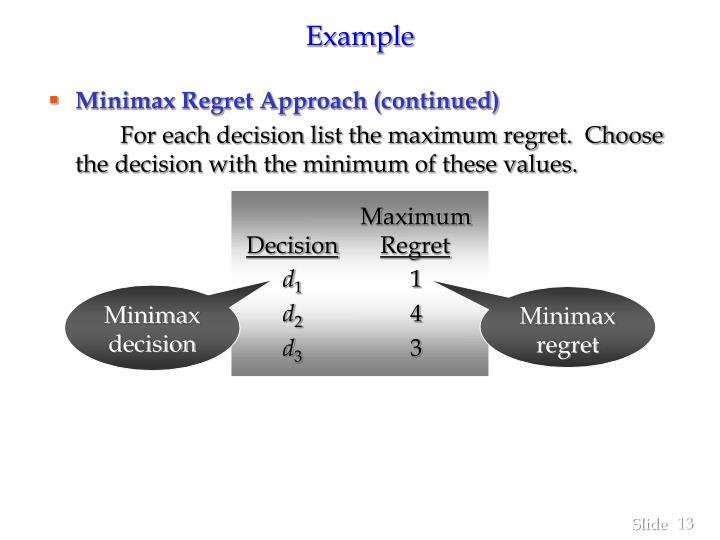 The decision chosen is the one corresponding to the minimum of the maximum regrets. 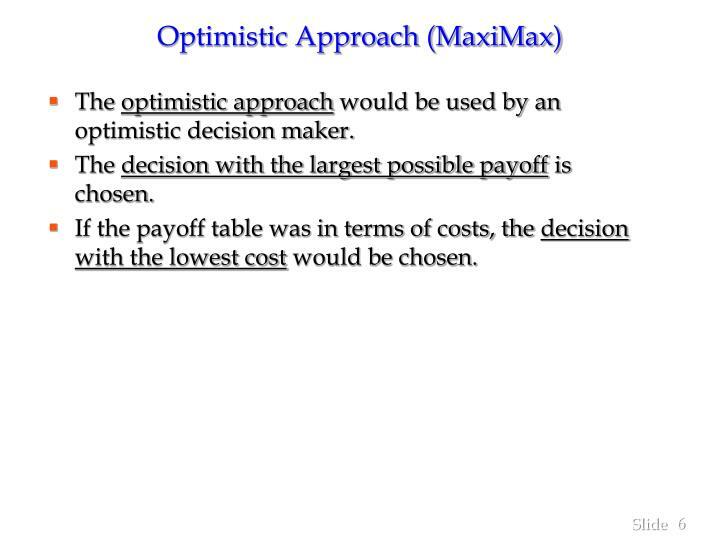 An optimistic decision maker would use the optimistic (maximax) approach. 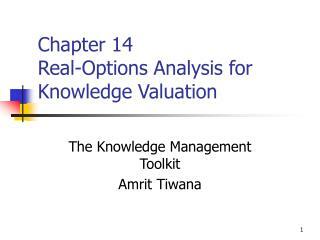 We choose the decision that has the largest single value in the payoff table. 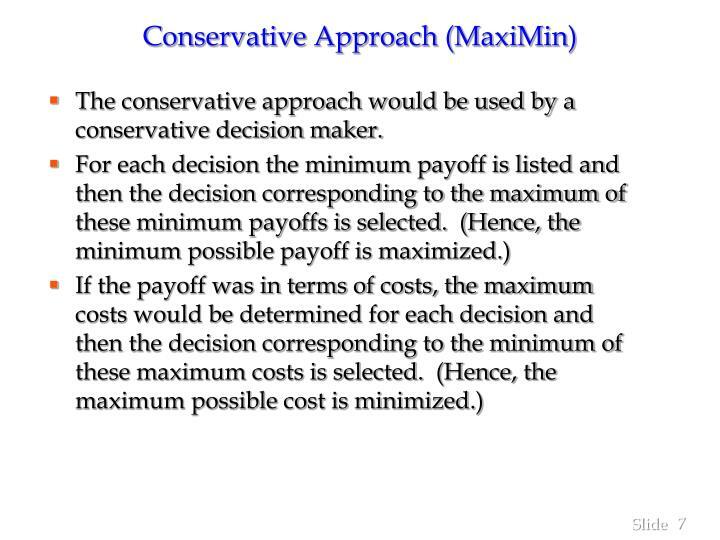 A conservative decision maker would use the conservative (maximin) approach. List the minimum payoff for each decision. 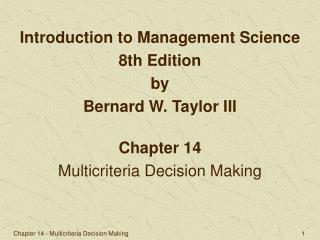 Choose the decision with the maximum of these minimum payoffs. For each decision list the maximum regret. 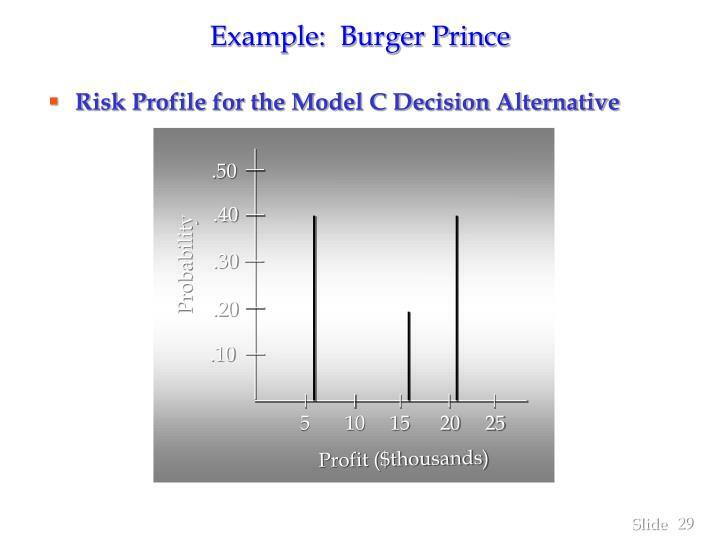 Choose the decision with the minimum of these values. 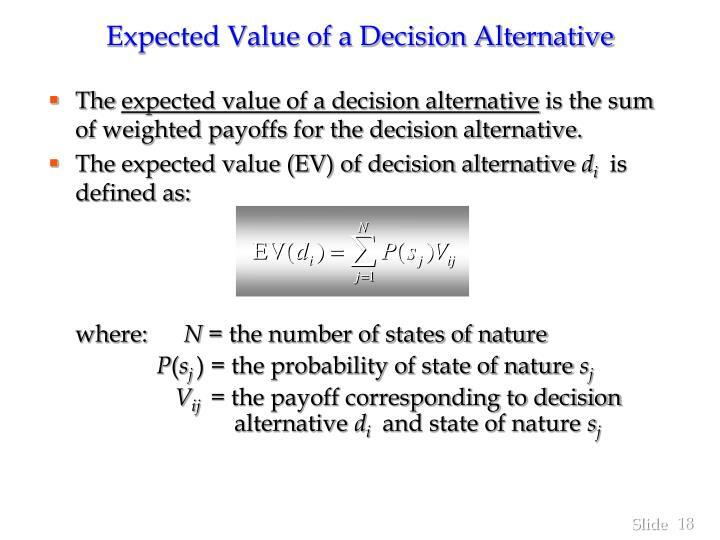 If probabilistic information regarding the states of nature is available, one may use the expected value (EV) approach. 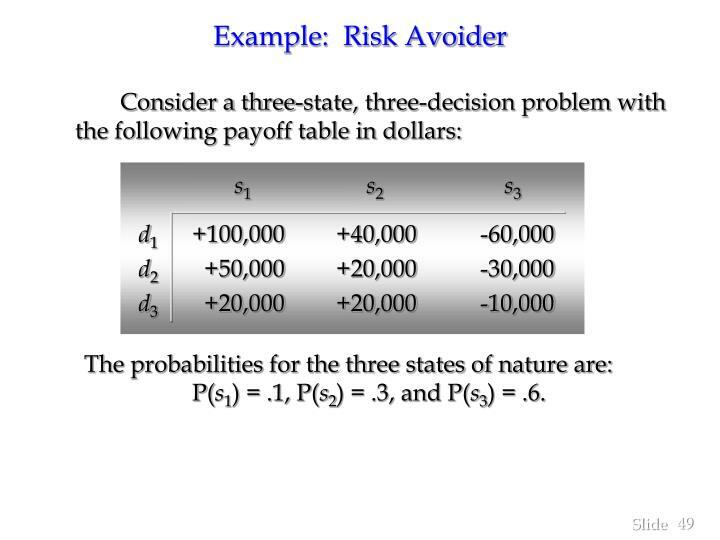 Here the expected return for each decision is calculated by summing the products of the payoff under each state of nature and the probability of the respective state of nature occurring. 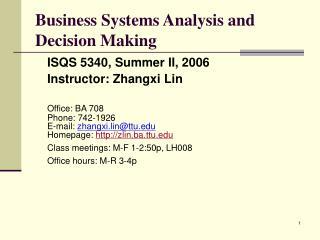 The decision yielding the best expected return is chosen. Probability of any event is between 0 and 1. An event with probability = 0 is an impossible event. 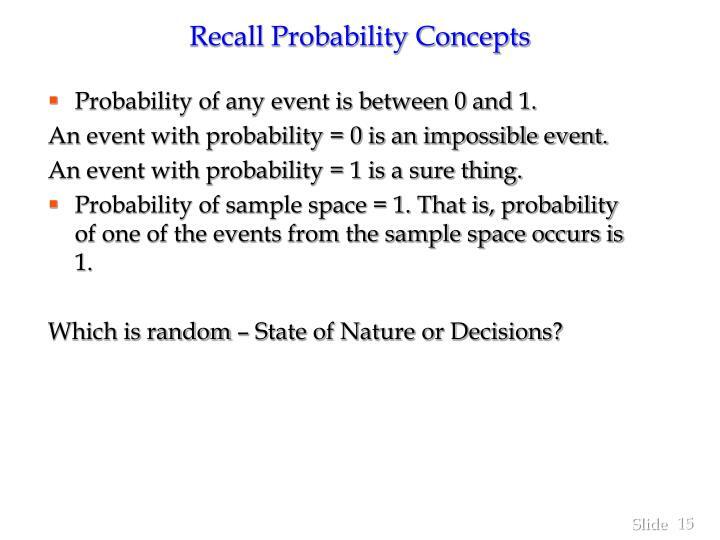 An event with probability = 1 is a sure thing. 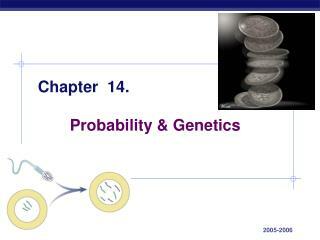 Probability of sample space = 1. That is, probability of one of the events from the sample space occurs is 1. 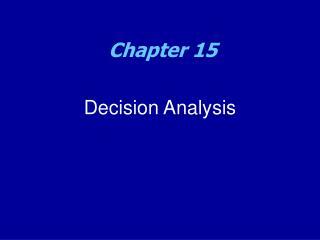 Which is random – State of Nature or Decisions? 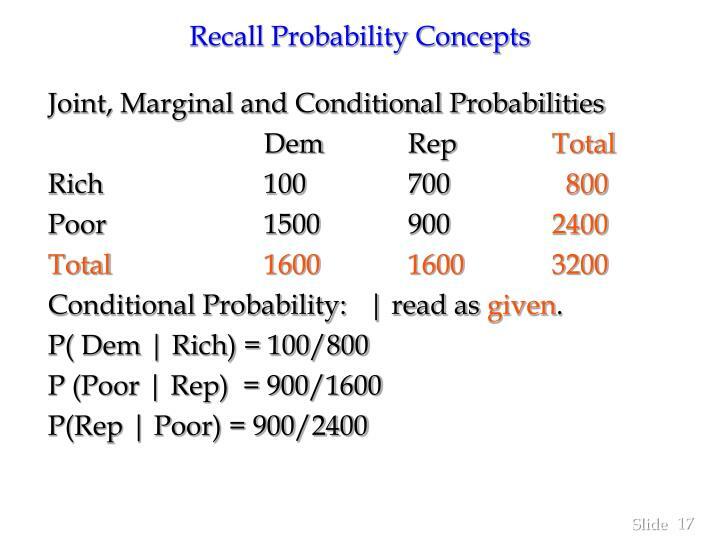 Conditional Probability: | read as given. 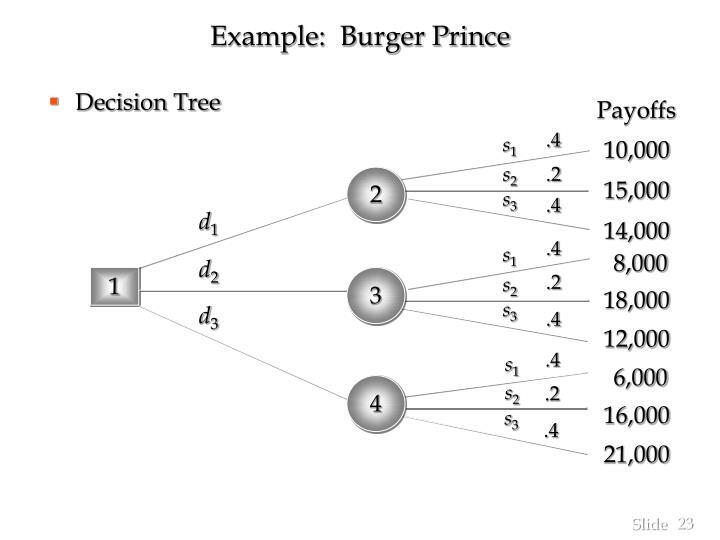 The expected value of a decision alternative is the sum of weighted payoffs for the decision alternative. Ó is used to indicate adding a number of items. If we have a list of 20 items, each item can be indexed by i and the list is represented by a variable x.
represents the first item and represents 15th item. summation. 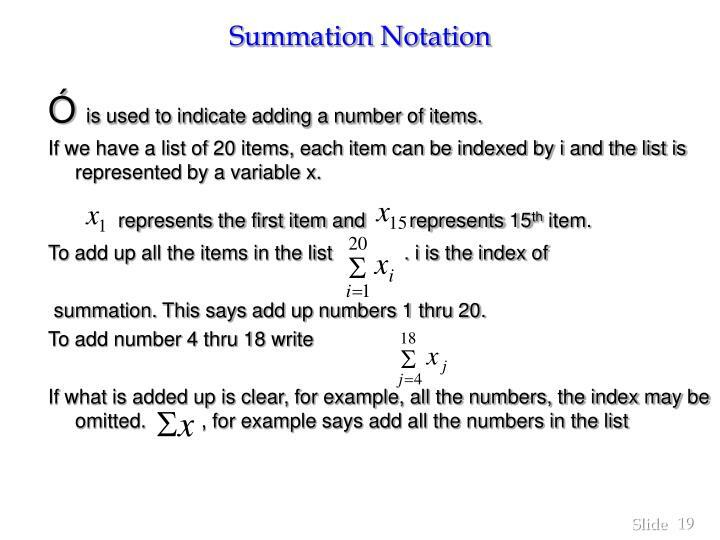 This says add up numbers 1 thru 20. 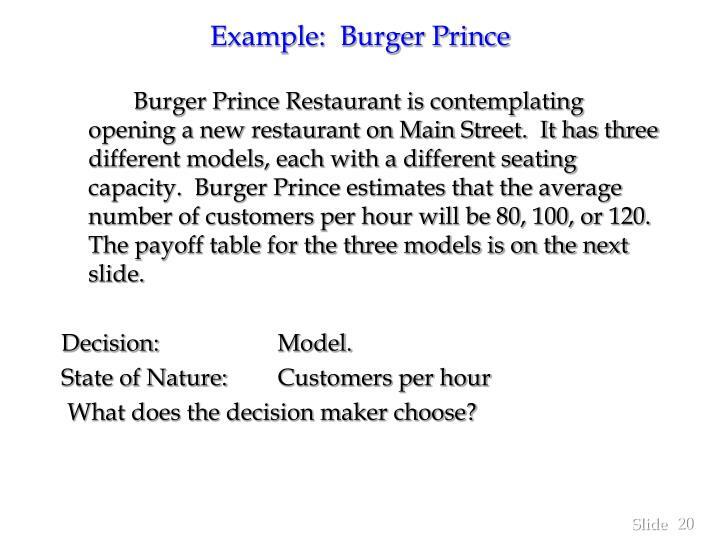 Burger Prince Restaurant is contemplating opening a new restaurant on Main Street. It has three different models, each with a different seating capacity. 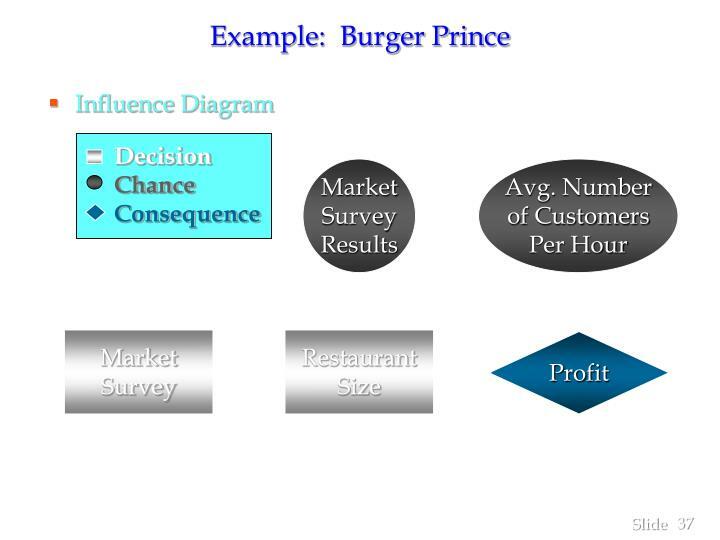 Burger Prince estimates that the average number of customers per hour will be 80, 100, or 120. 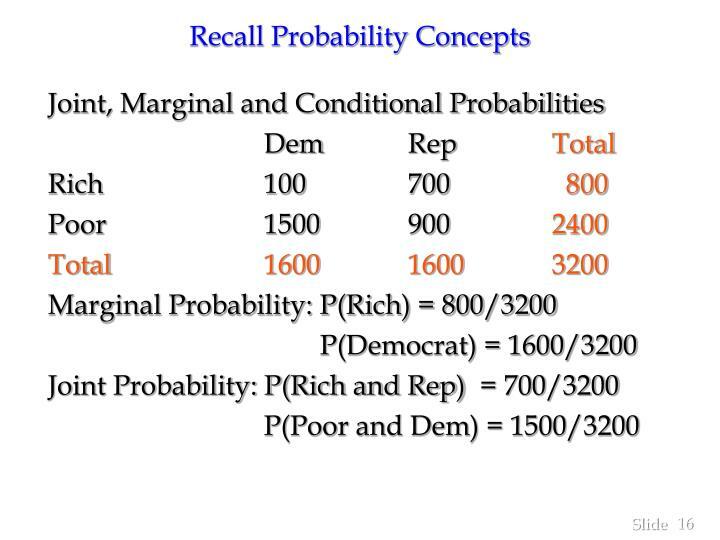 The payoff table for the three models is on the next slide. 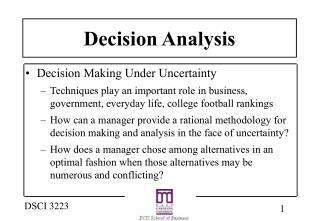 What does the decision maker choose? 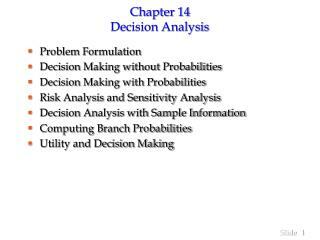 Calculate the expected value for each decision. 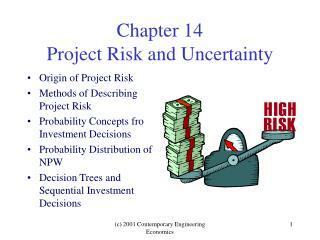 The decision tree on the next slide can assist in this calculation. 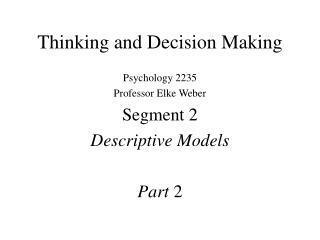 Here d1, d2, d3 represent the decision alternatives of models A, B, C, and s1, s2, s3 represent the states of nature of 80, 100, and 120. 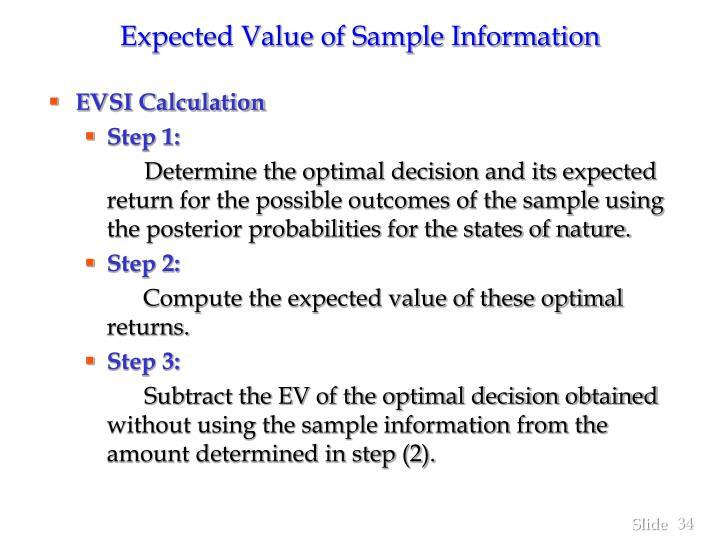 Choose the model with largest EV, Model C.
Frequently information is available which can improve the probability estimates for the states of nature. 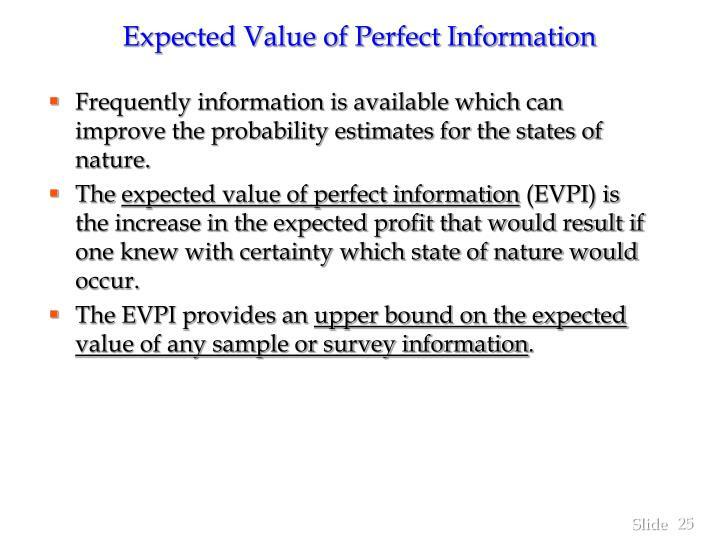 The expected value of perfect information (EVPI) is the increase in the expected profit that would result if one knew with certainty which state of nature would occur. 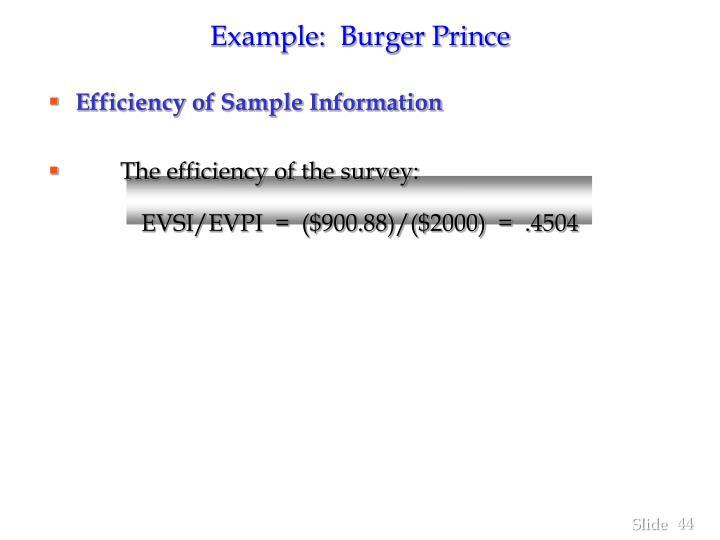 The EVPI provides an upper bound on the expected value of any sample or survey information. Determine the optimal return corresponding to each state of nature. 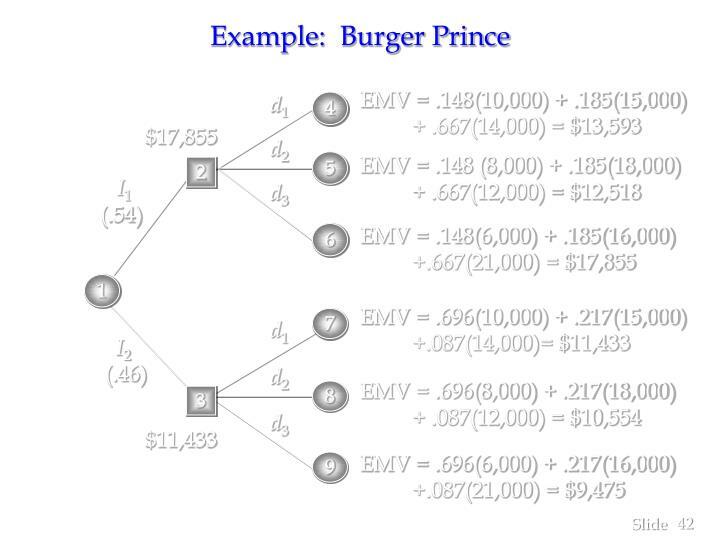 Compute the expected value of these optimal returns. 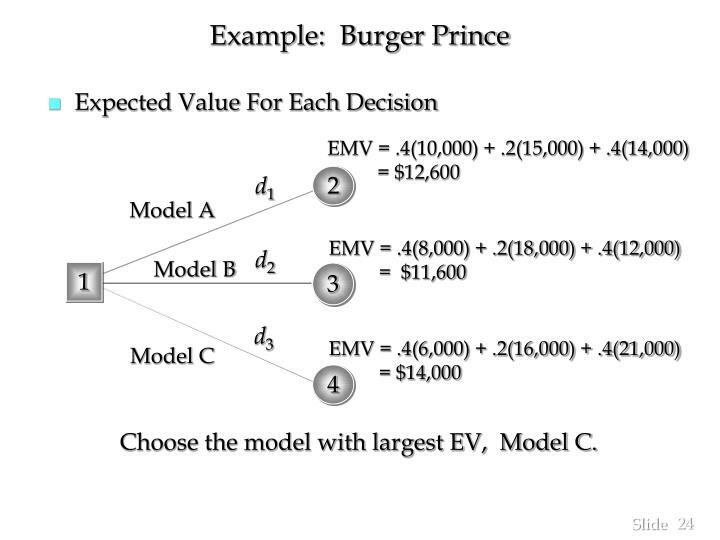 Subtract the EV of the optimal decision from the amount determined in step (2). 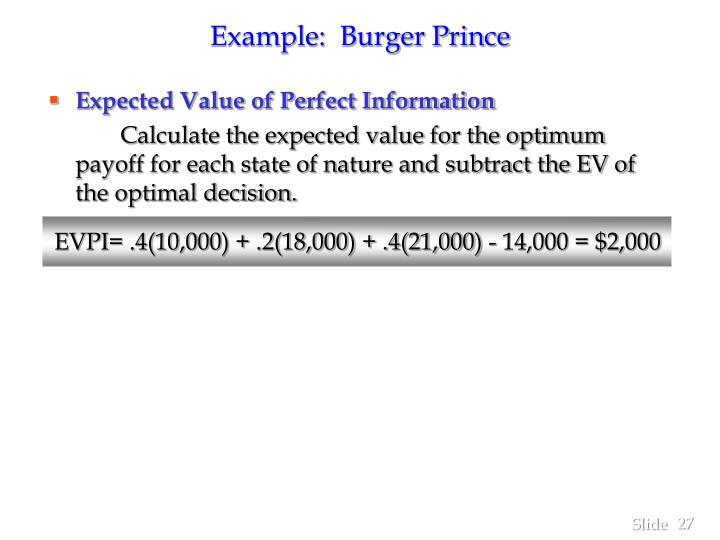 Calculate the expected value for the optimum payoff for each state of nature and subtract the EV of the optimal decision. 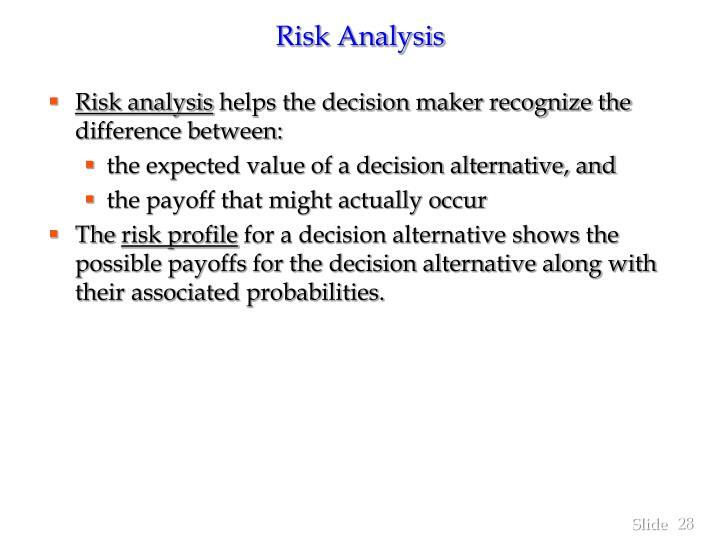 The risk profile for a decision alternative shows the possible payoffs for the decision alternative along with their associated probabilities. 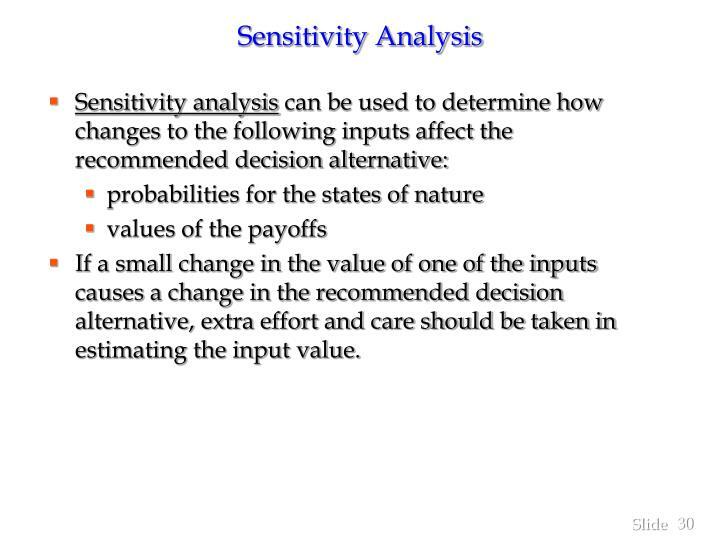 If a small change in the value of one of the inputs causes a change in the recommended decision alternative, extra effort and care should be taken in estimating the input value. Knowledge of sample or survey information can be used to revise the probability estimates for the states of nature. 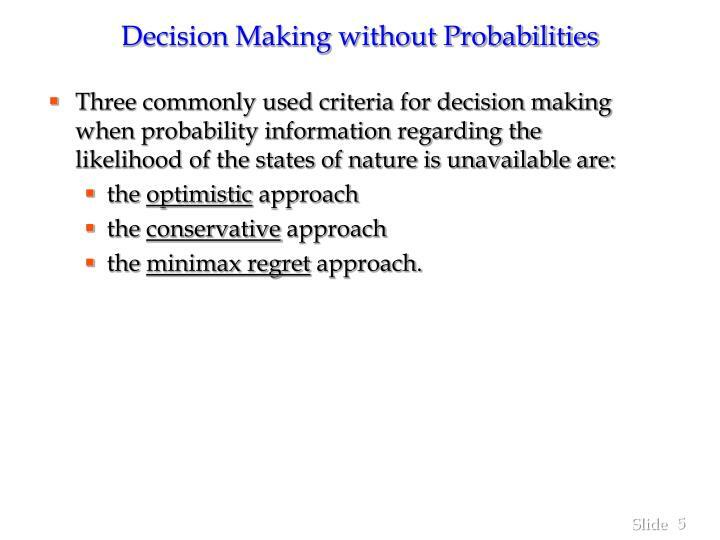 Prior to obtaining this information, the probability estimates for the states of nature are called prior probabilities. 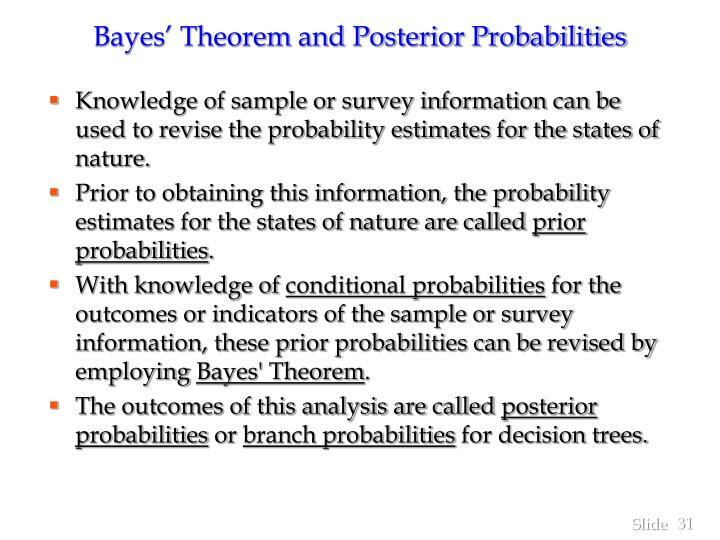 With knowledge of conditional probabilities for the outcomes or indicators of the sample or survey information, these prior probabilities can be revised by employing Bayes' Theorem. 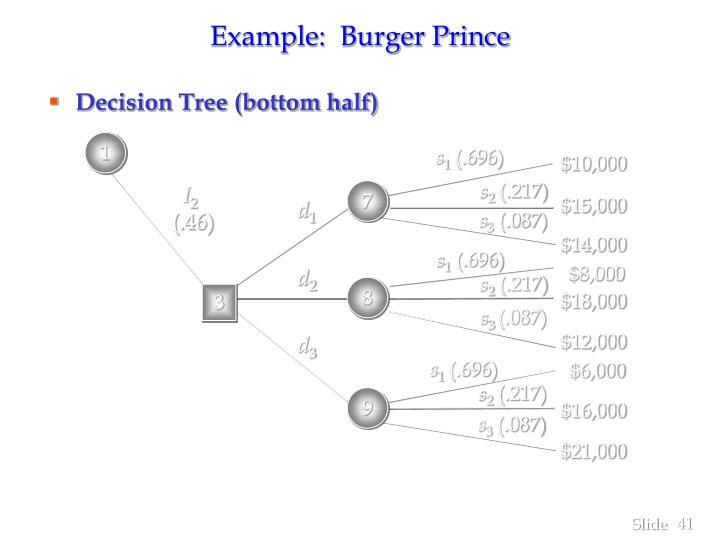 The outcomes of this analysis are called posterior probabilities or branch probabilities for decision trees. 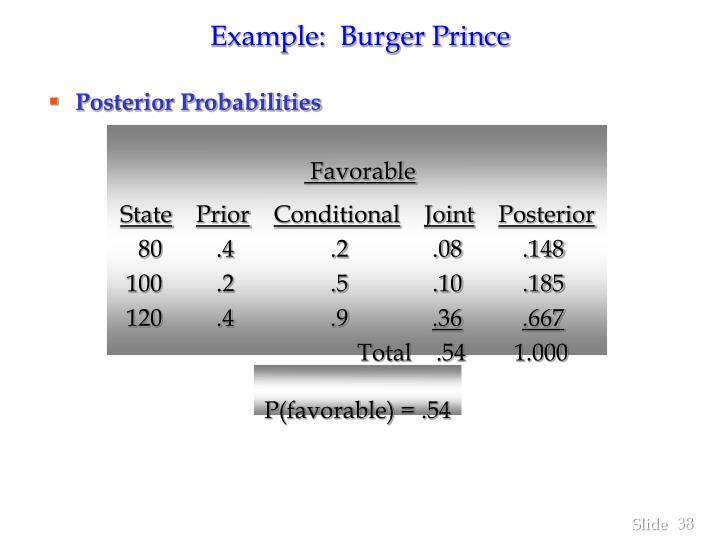 For each state of nature, multiply the prior probability by its conditional probability for the indicator -- this gives the joint probabilities for the states and indicator. Sum these joint probabilities over all states -- this gives the marginal probability for the indicator. 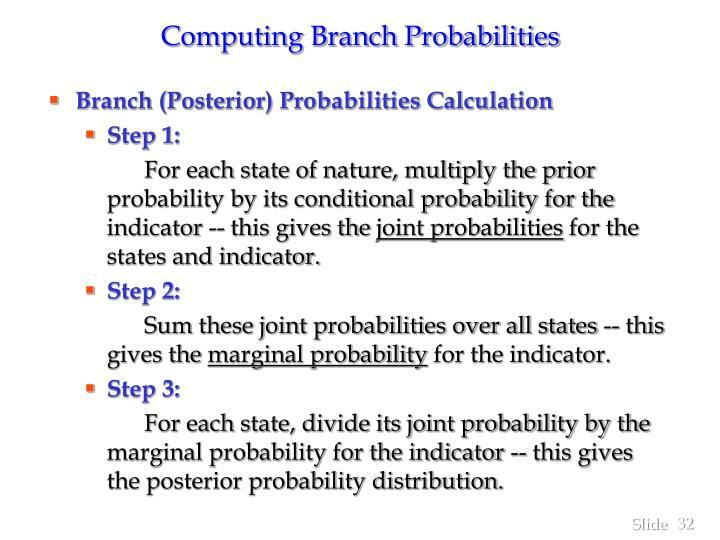 For each state, divide its joint probability by the marginal probability for the indicator -- this gives the posterior probability distribution. 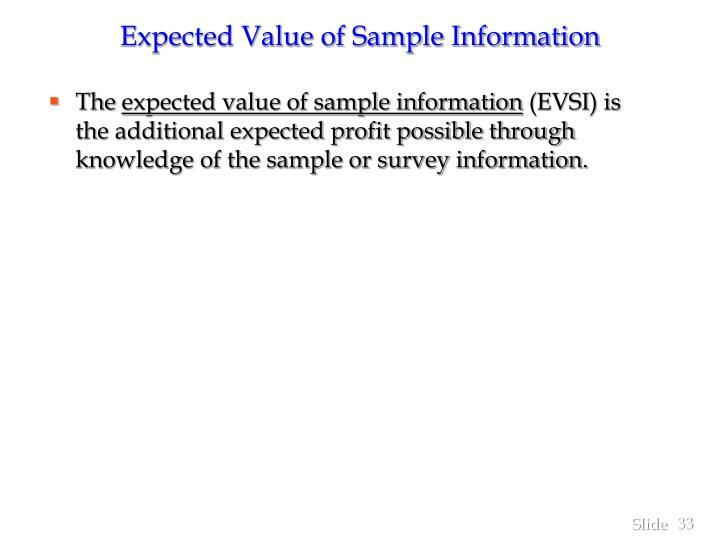 The expected value of sample information (EVSI) is the additional expected profit possible through knowledge of the sample or survey information. 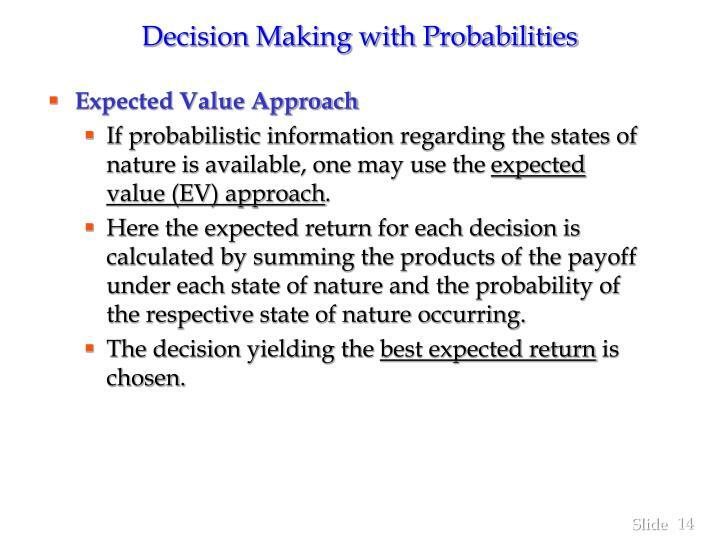 Determine the optimal decision and its expected return for the possible outcomes of the sample using the posterior probabilities for the states of nature. 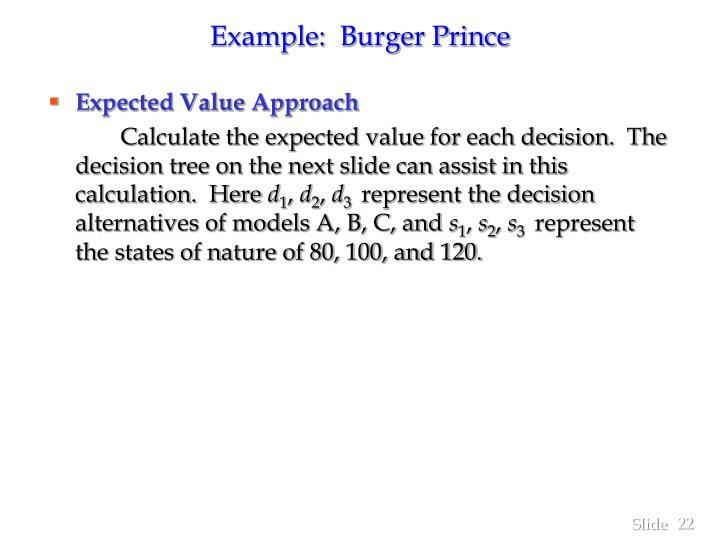 Subtract the EV of the optimal decision obtained without using the sample information from the amount determined in step (2). 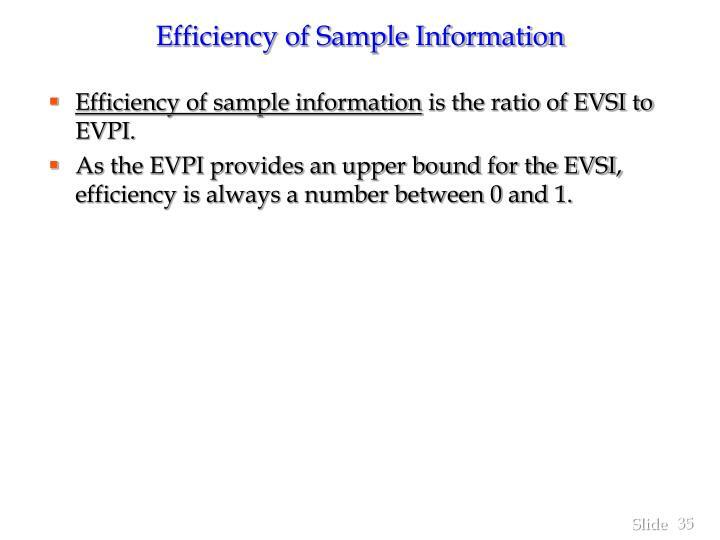 Efficiency of sample information is the ratio of EVSI to EVPI. 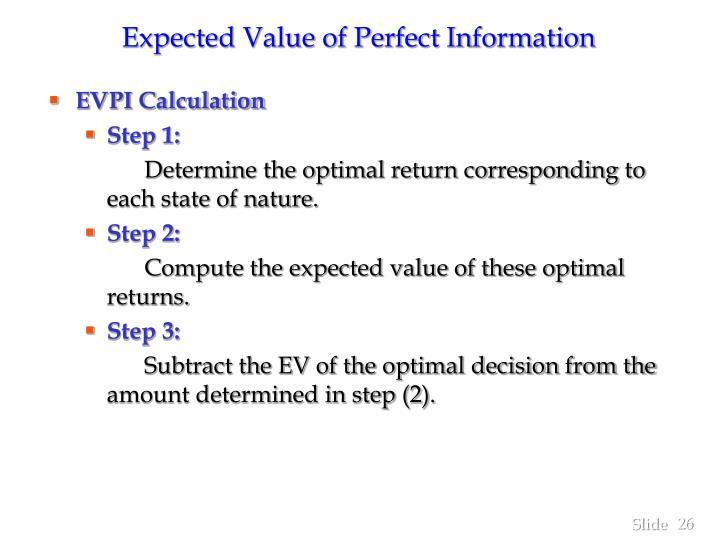 As the EVPI provides an upper bound for the EVSI, efficiency is always a number between 0 and 1. 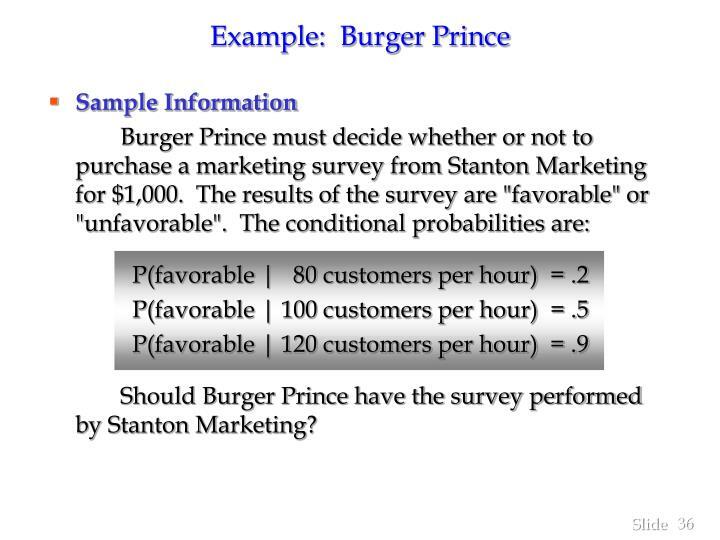 Should Burger Prince have the survey performed by Stanton Marketing? 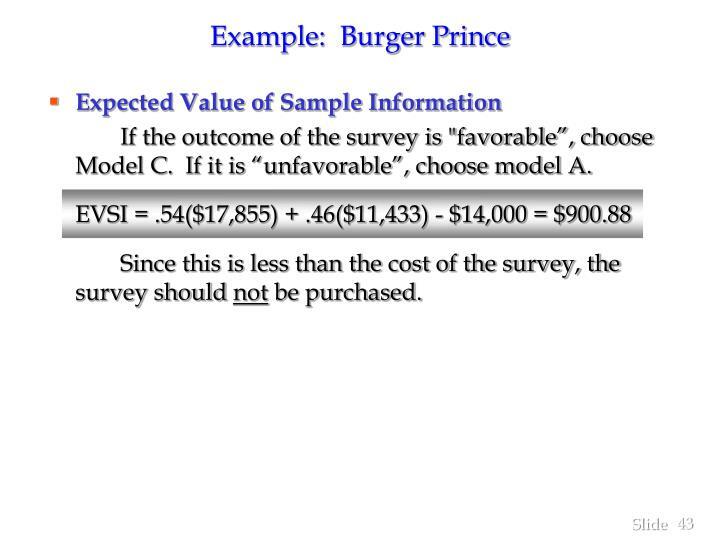 If the outcome of the survey is "favorable”, choose Model C. If it is “unfavorable”, choose model A. Since this is less than the cost of the survey, the survey should not be purchased. 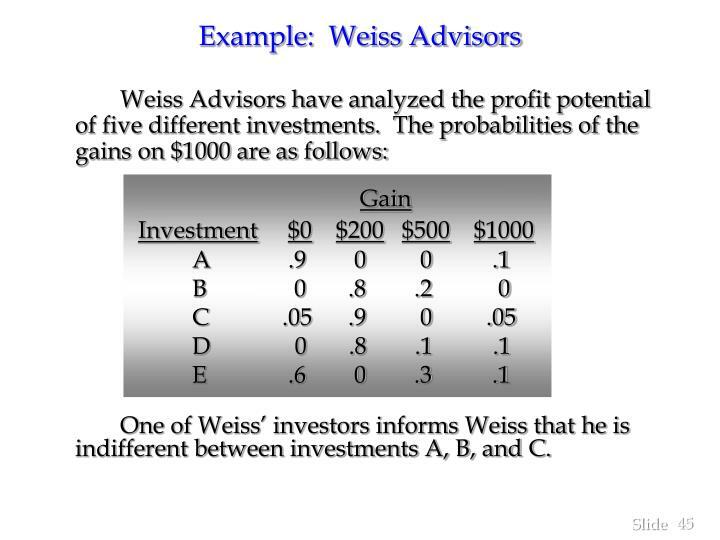 One of Weiss’ investors informs Weiss that he is indifferent between investments A, B, and C.
Assign a utility of 10 to a $1000 gain and a utility of 0 to a gain of $0. Let x = the utility of a $200 gain and y = the utility of a $500 gain. 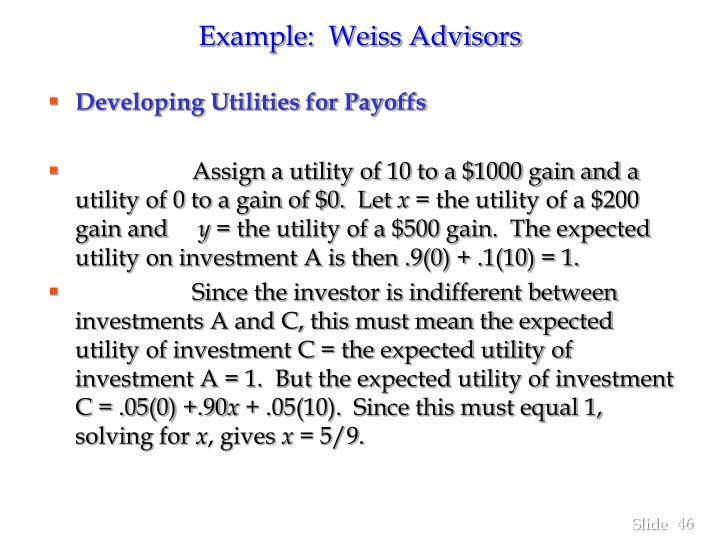 The expected utility on investment A is then .9(0) + .1(10) = 1. 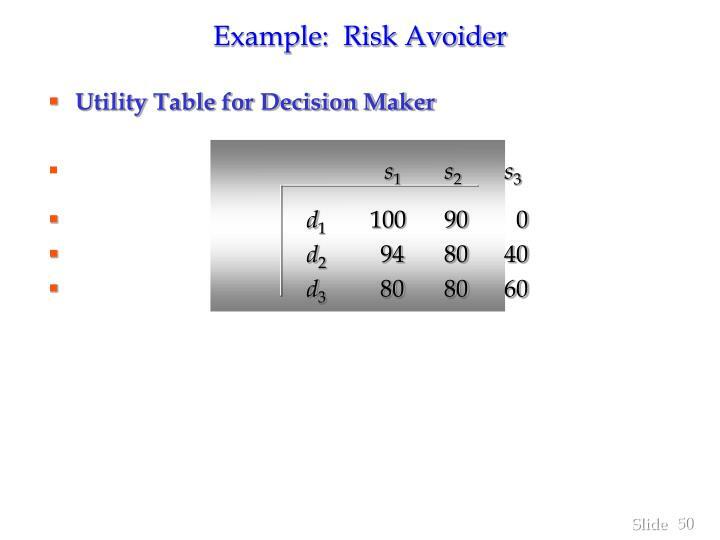 Since the investor is indifferent between investments A and C, this must mean the expected utility of investment C = the expected utility of investment A = 1. But the expected utility of investment C = .05(0) +.90x + .05(10). Since this must equal 1, solving for x, gives x = 5/9. 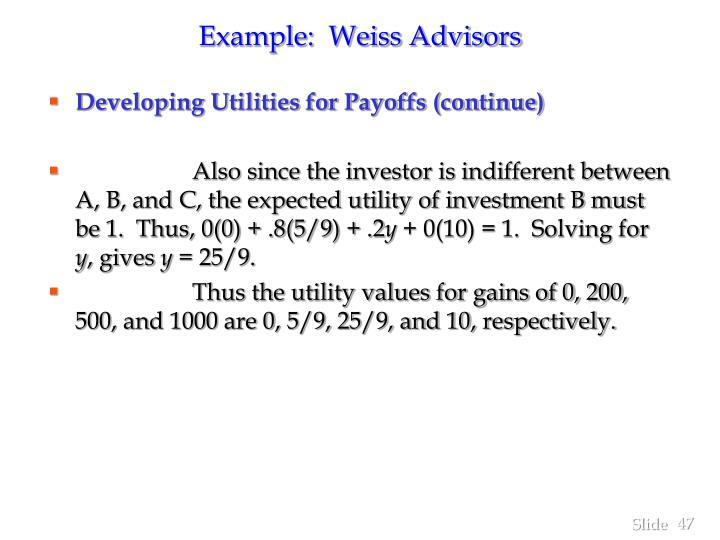 Also since the investor is indifferent between A, B, and C, the expected utility of investment B must be 1. Thus, 0(0) + .8(5/9) + .2y + 0(10) = 1. Solving for y, gives y = 25/9. Thus the utility values for gains of 0, 200, 500, and 1000 are 0, 5/9, 25/9, and 10, respectively. 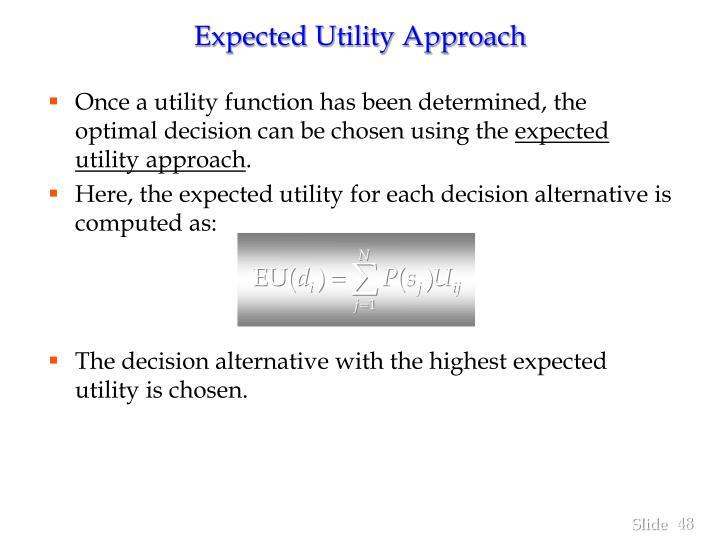 Once a utility function has been determined, the optimal decision can be chosen using the expected utility approach. 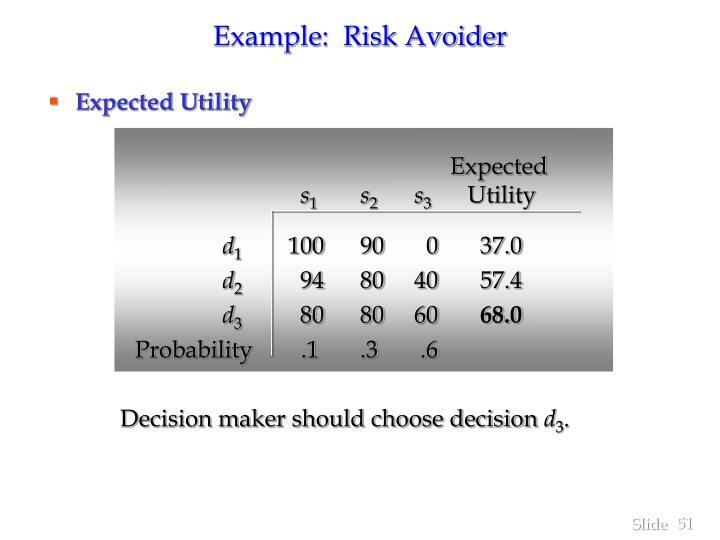 The decision alternative with the highest expected utility is chosen. 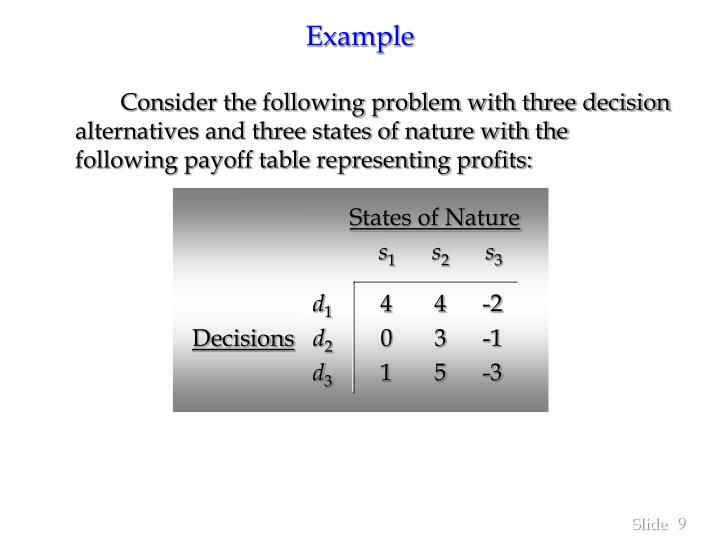 The probabilities for the three states of nature are: P(s1) = .1, P(s2) = .3, and P(s3) = .6. 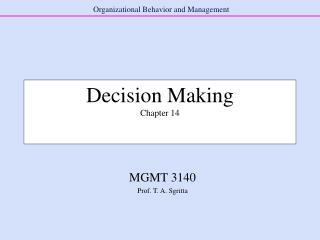 Decision maker should choose decision d3. 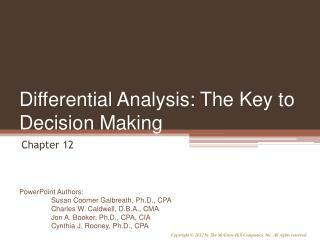 Differential Analysis: The Key to Decision Making -. 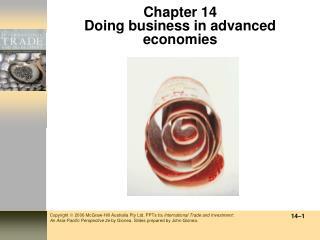 chapter 12. a relevant cost is a cost that differs between alternatives. relevant costs and benefits. a relevant benefit is a benefit that differs between alternatives. 2. 1. 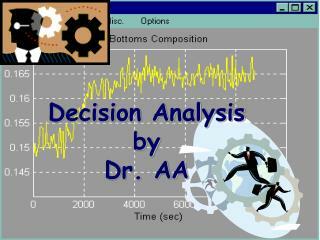 Decision Analysis -. 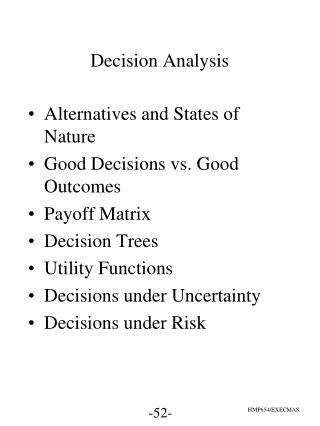 alternatives and states of nature good decisions vs. good outcomes payoff matrix decision trees utility functions decisions under uncertainty decisions under risk. 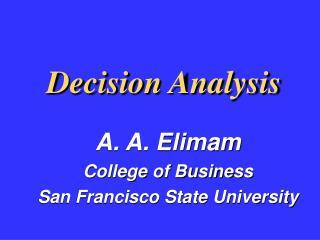 decision analysis - payoff tables. 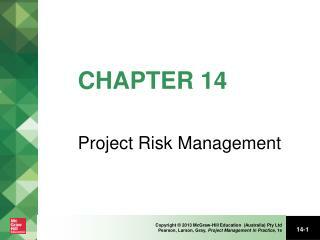 case problem - (a) p.